Your sunroom will be the undisputed FAVORITE place in the house, move over the bedroom, living room, and even a man cave! You’ll do it all in your sunroom, from hosting birthday parties to just unwinding and scrolling through Facebook. When you’re planning your sunroom style, you want an aesthetic that both matches your home and expresses your personal tastes. On the practical side, you also want to make sure you can use your sunroom year-round — not just in the spring, fall, and summer. 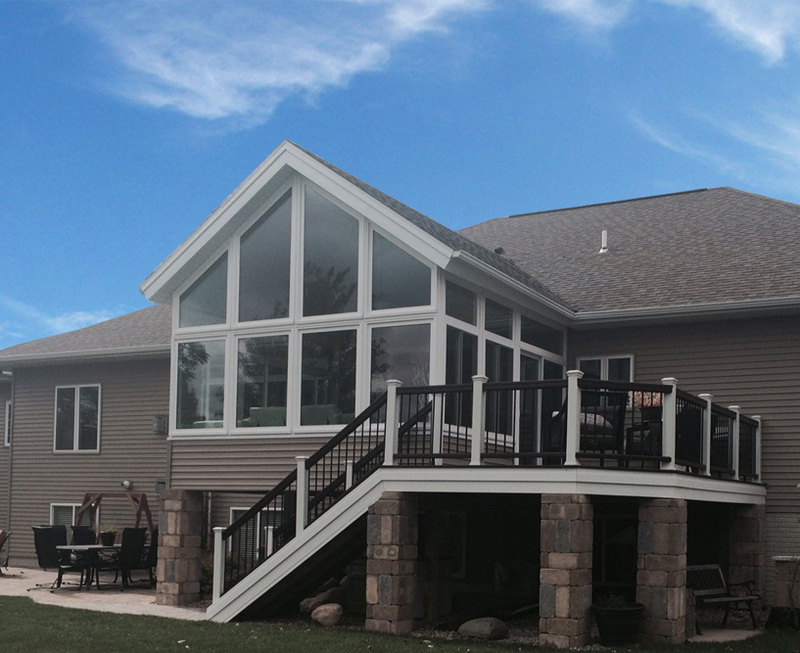 At Choice Windows, we’re an expert sunroom installer with a long history of helping Lancaster County homeowners get the sunroom they’ve always dreamt of – all at a reasonable price. Explore all of the sunroom ideas for style and the strategies that’ll make it your favorite room 365 days a year! While every homeowner’s tastes and every sunroom we build are different, there are a few key sunroom style ideas that almost everyone loves. Check out these 6 sunroom style trends that ensure your sunroom looks stunning inside and out. You love sunrooms because you want to bring in tons of natural light and appreciate your view of the outside. To get the most of those things, you need as much glass as possible. 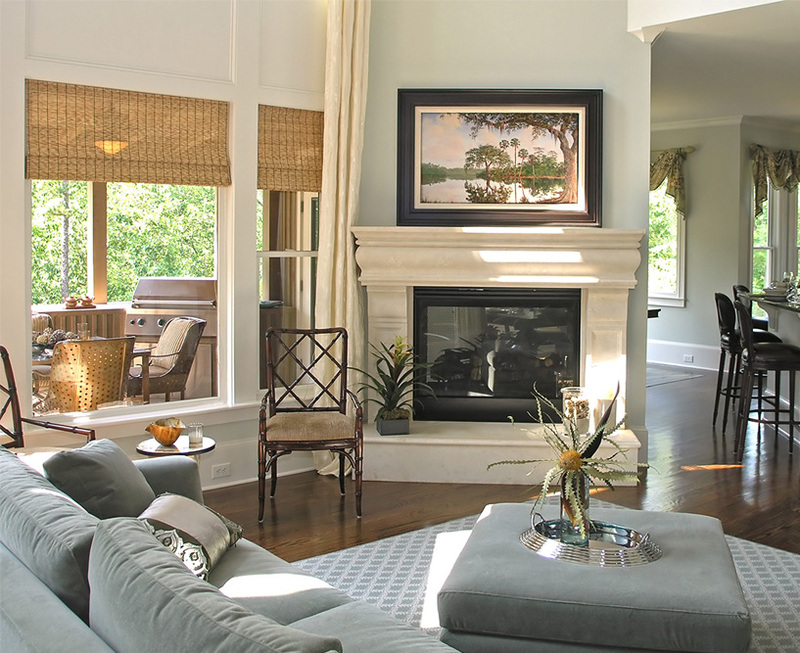 One popular sunroom style involves stretching your windows tall from floor to ceiling. 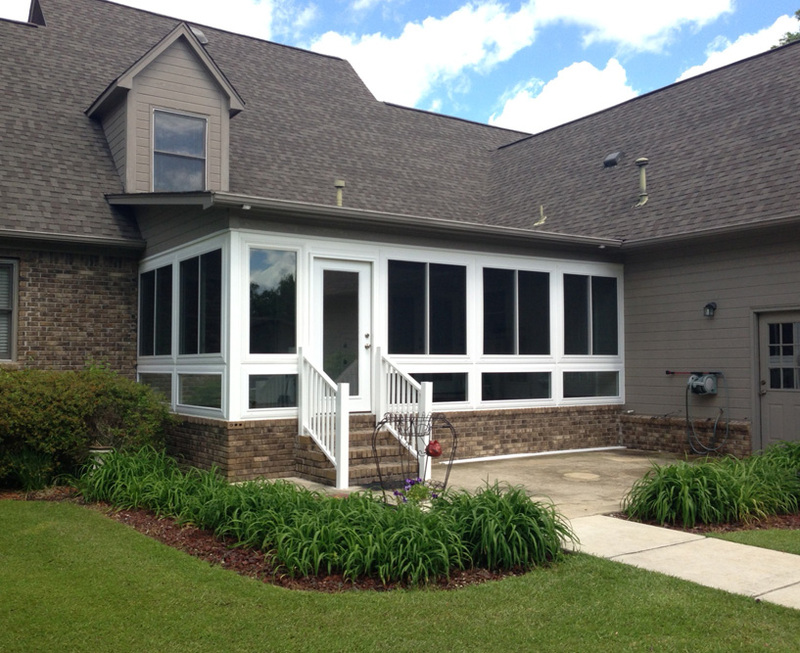 An advantage of designing your sunroom with Choice Windows is that we build modular sunrooms, so that we can extend your window space all the way to the corner – that wouldn’t be possible in a traditional build. While grid work on windows is gaining popularity in home window replacement, the uninterrupted picture window style is the dominant trend when designing a sunroom. Again, sunroom design comes down to ensuring that you have maximum glass space and completely uninterrupted views of the outside. Bottom line: while a grid pattern may be gorgeous and rustic, it doesn’t match the style and purpose of a sunroom. While the sunroom may be a home addition, a popular trend is to create a flow between it and the rest of the house. One of the best ways to accomplish this is matching a color or pattern from the main house into the sunroom. Another more advanced technique is to connect the areas with an exposed structural beam. 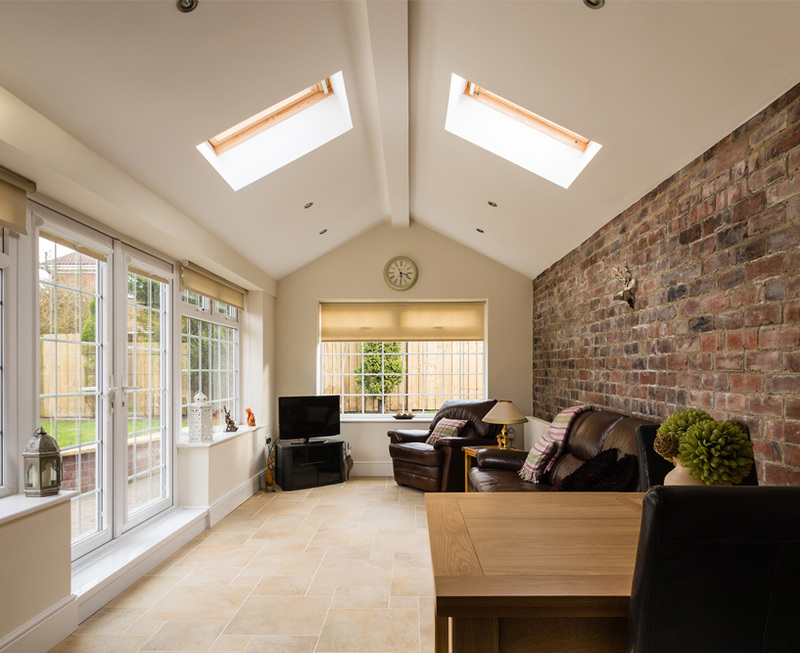 Another way to invite in the all-import natural light, adding skylights is a popular sunroom idea that we love to use. Once again, this is a place where our modular building style pays off. At Choice Windows, we can custom cut skylights as large as you want, since there are no rafters to get in the way. On a bright sunny day, your sunroom will be bathed in light from all angles — there are few things better than that. While the majority of our sunroom style advice applies to the inside, since that’s what you’ll see every day, there are sunroom exterior style points you’ll want to keep in mind. 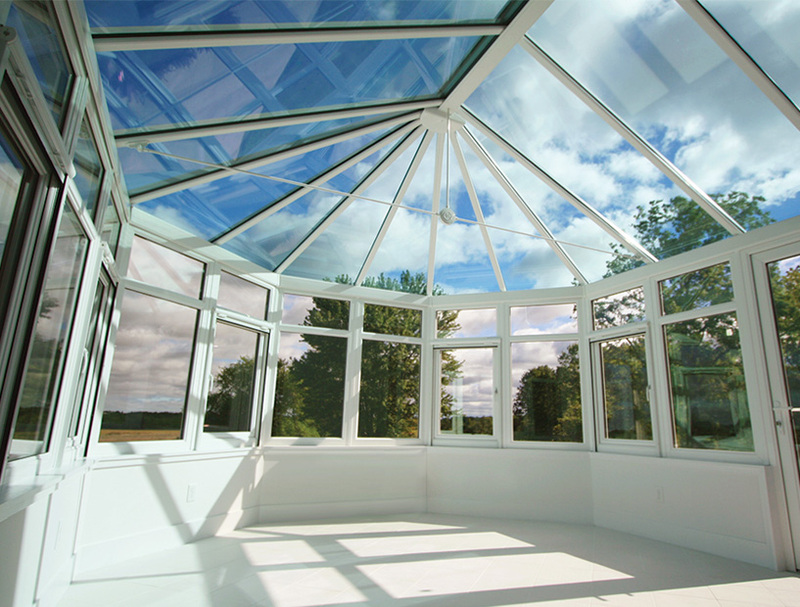 As with any home addition, you want your sunroom to look like it’s part of your home. 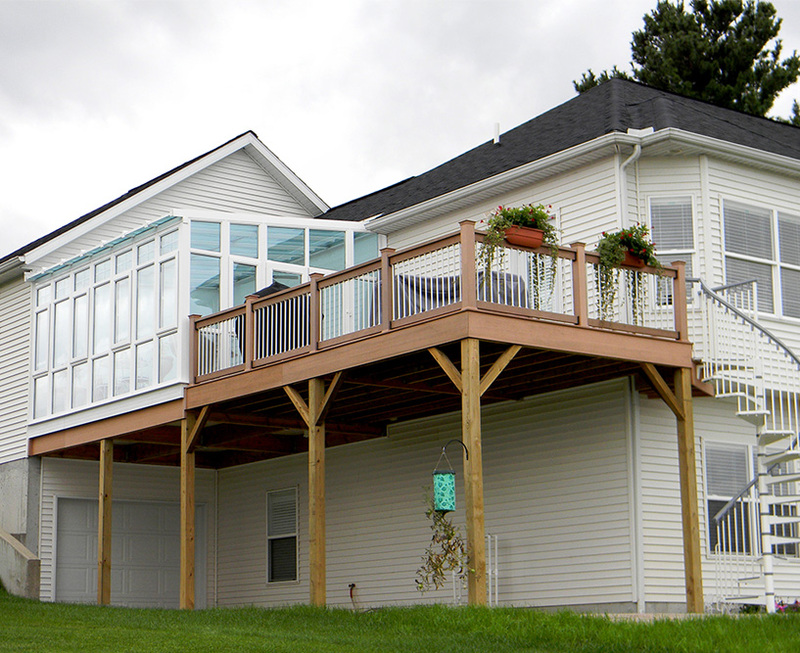 Your new sunroom will quickly take its place as your pride and joy. You want to ensure that you can use your beloved sunroom year-round. Some homeowners have the concern that their sunroom will be too hot in the summer and too cold in the winter. Fully Vinyl Windows and Walls — Before, modular sunrooms were built primarily from aluminum, which made sunrooms boiling hot in the summer and frigid in the winter. Nowadays, Choice Windows’ sunrooms are built primarily out of vinyl and fiberglass, with limited aluminum. This allows our sunrooms to truly be year-round living spaces. 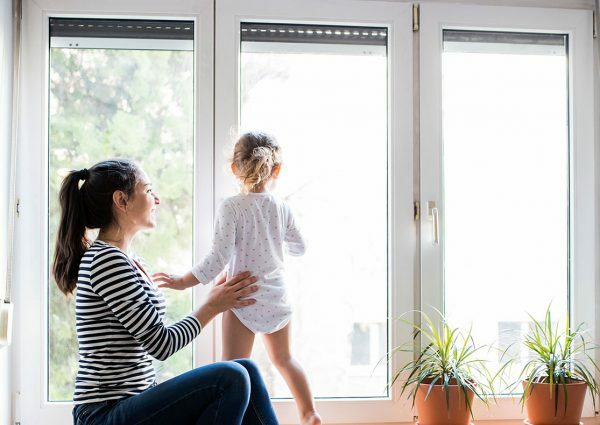 Great, High-Efficiency Glass — At Choice, there’s no doubt that we know windows and how important they are to your energy bills. It should come as no surprise that every sunroom uses glass that is on par with the Energy Star windows used in window upgrades. 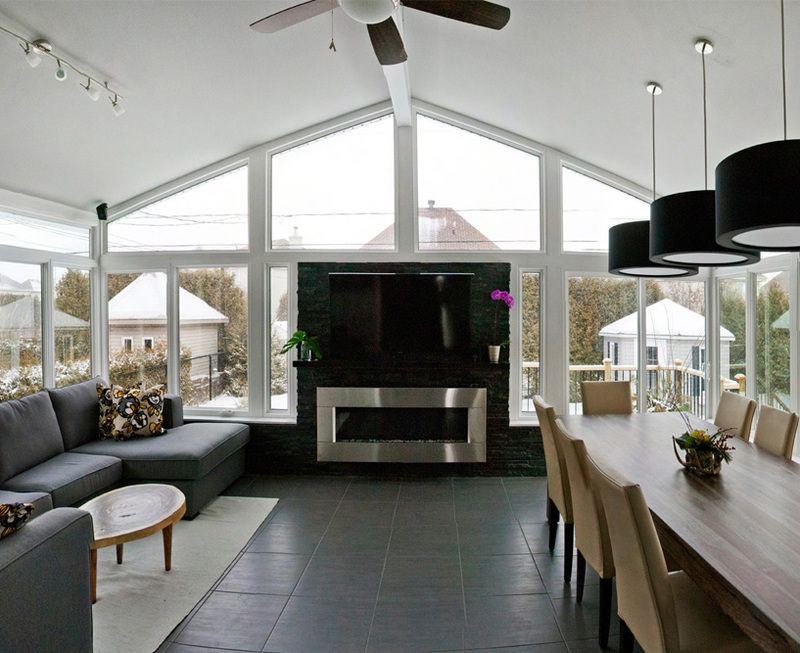 Structurally Insulated Panels — Another reason our sunrooms can break the trend of the 3-season room is that we use structurally insulated panels. These roofing and flooring panels are a big reason that our sunrooms are rated to be more efficient that a house built in the 1990s. Mini-Splits for Efficient Heating and Cooling — Another idea to make your sunroom a truly effective living space is to install some climate control. We recommend using a ductless mini-split to provide air conditioning in the summer and heat in the winter. 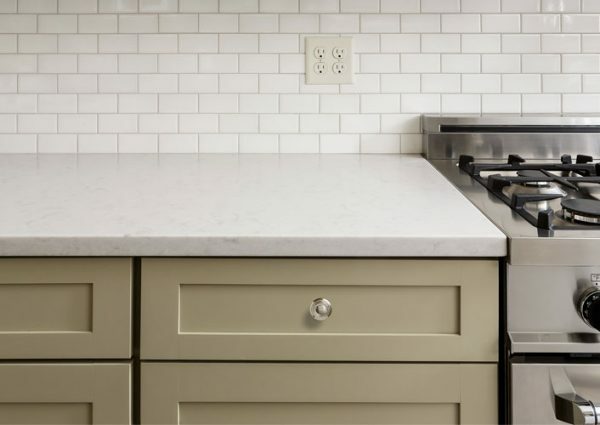 Controlled by a separate thermostat, these efficient systems allow you to have cost effective heating and cooling with a minimal investment. We’d estimate that about 75% of the sunrooms we build come equipped with this HVAC technology. 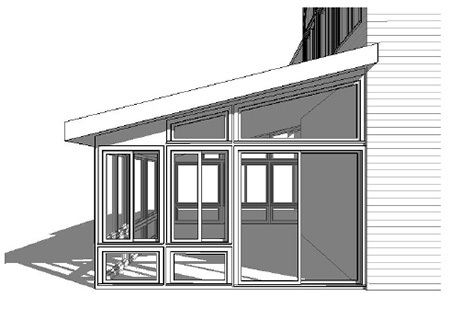 One other way we ensure that you love your sunroom style is by providing a 3D rendering upon request — before you sign. This rendering allows you to envision your existing house complete with the custom sunroom of your dreams. At Choice Windows, we don’t simply install gorgeous sunrooms at a competitive price point, we work with homeowners to create the room they’ll love for decades. It all begins with a conversation and consultation. Whether you’re ready to get your sunroom quote or you want to discuss your options, we can help. Contact us today to start the conversation.